King Eddy, 438 9 Ave. S.E. 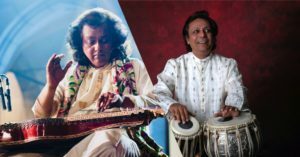 National Music Centre has teamed up with Raga Mala Music Society of Calgary for an evening of guitar and tabla from Debashish Bhattacharya and Swapan Chaudhuri. The maestro musicians will perform inside the Performance Hall at Studio Bell. Bhattacharya specializes in slide guitar, having patented three different unique guitars, while Chaudhuri is known for his teachings and status as an elite tabla master. 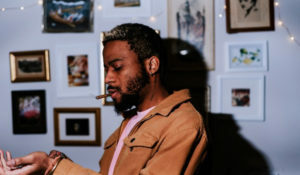 Doors at 6:30 p.m.; show at 7:30 p.m.
Calgary's Jae Sterling originally hails from Jamaica, which you'll hear in his rap and production styles at this workshop. Sterling will be talking rhyming at this public event included with Studio Bell admission. The workshop follows his stint as a resident inside Studio Bell's world-class recording facilities. Mikey’s on 12th, 918 12 Ave. S.W. 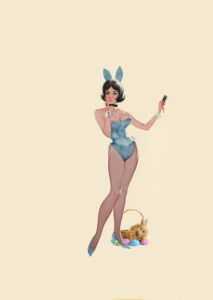 You've heard of "Santa Baby," now get ready for a sultry take on Easter at this edition of the Sin & Gin Soiree Cabaret. The monthly night of burlesque, music, comedy, cabaret and dance will also be hosting some special guests from Edmonton to make the evening truly memorable.This event is 18+. 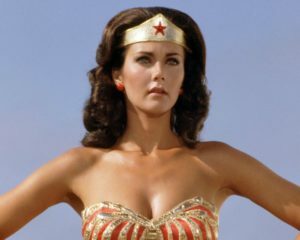 The Calgary Comic & Entertainment Expo presents actor, model, musician and star of the original Wonder Woman series Lynda Carter in an evening of songs and stories on April 25. Carter has had an unparalleled career as a life-long musician, Miss America winner and as a revolutionary face for women in leading roles due to her work on Wonder Woman. Note: this special event requires a ticket in addition to your paid admission to the Expo. Decidedly Jazz Danceworks, 111 12 Ave. S.E. Decidedly Jazz Danceworks (DJD) hosts a double bill of dance performances — one original work and one visiting performance from Montreal’s La Otra Orilla. DJD’s Lovestruck pairs live music with a tale of Cupid, while La Otra Orilla’s Magnetikae is a flamenco pas de deux set on an ice floe. Northern Alberta-born Maddie Storvold touches down at the Gallery House in support of her new album Freedom, Books, Flowers & the Moon. Storvold is a country act with worn-in voice who has developed her craft around the world. With a background in spoken word and a degree in literature and philosophy, her storytelling style is one that doesn't come around every day. Strathcona Christie Aspen Community Centre, 277 Strathcona Dr. S.W. 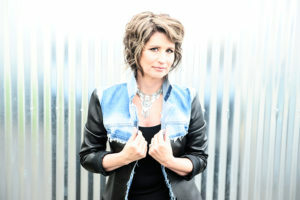 Bow Valley Music Club presents an evening with award-winning country musician Lisa Brokop and special guests Coyote Moon on April 27. Dubbed "Legendary Ladies of Country," the event sees Brokop playing music by icons including Tammy Wynette and Loretta Lynn (with storytelling about how they have influenced her), as well as her own original music. 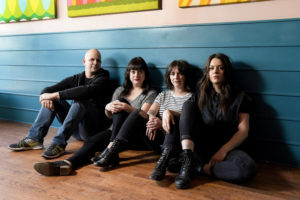 Doors open at 7 p.m., Coyote Moon play at 7:50 p.m. and Lisa Brokop will play at 9:00 p.m.
Calgary punk band The Shiverettes are releasing their second full-length album on April 18 with a tour kicking off at the King Eddy. The Shiverettes are sometimes compared to The Stooges and MC5, and carry the feminist torch in much of their songwriting—accordingly, they’ve tapped Edmonton act Wares and locals Mademoiselle to open the show. The new album will be available on vinyl and CD at the show. 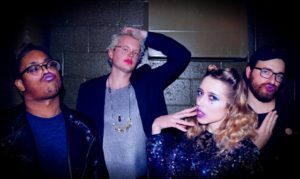 Local indie pop group Future Womb will be releasing their debut album, Babygirlgalactic, on April 19 at The Palomino. 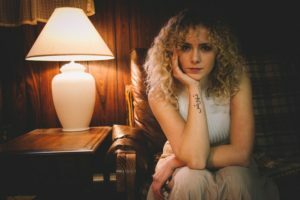 The project led by Mikaela Cochrane mixes elements of psychedelic music and pop alongside Cochrane’s heart-on-sleeve lyrics. Joining them at the show will be fellow locals Pancake and Victoria-based Peach Pyramid. Calgary’s Jae Sterling originally hails from Jamaica, which you’ll hear in his rap and production styles at this workshop. Sterling will be talking rhyming at this public event included with Studio Bell admission. The workshop follows his stint as a resident inside Studio Bell’s world-class recording facilities. You’ve heard of “Santa Baby,” now get ready for a sultry take on Easter at this edition of the Sin & Gin Soiree Cabaret. The monthly night of burlesque, music, comedy, cabaret and dance will also be hosting some special guests from Edmonton to make the evening truly memorable.This event is 18+. Northern Alberta-born Maddie Storvold touches down at the Gallery House in support of her new album Freedom, Books, Flowers & the Moon. Storvold is a country act with worn-in voice who has developed her craft around the world. With a background in spoken word and a degree in literature and philosophy, her storytelling style is one that doesn’t come around every day. Bow Valley Music Club presents an evening with award-winning country musician Lisa Brokop and special guests Coyote Moon on April 27. Dubbed “Legendary Ladies of Country,” the event sees Brokop playing music by icons including Tammy Wynette and Loretta Lynn (with storytelling about how they have influenced her), as well as her own original music. Doors open at 7 p.m., Coyote Moon play at 7:50 p.m. and Lisa Brokop will play at 9:00 p.m.